The CPMR’s Intermediterranean Commission (CPMR-IMC) and its member regions have helped launch a major new EU project to improve the energy efficiency of public buildings in regions across the Mediterranean. The first meeting of the Interreg Med Program’s modular project SHERPA (Shared Knowledge for Energy Renovation in buildings by Publics Administration), led by the government of Catalonia, took place on 15-16 December in Barcelona. The SHERPA project, which involves the CPMR-IMC as a prominent partner, has a budget of 3.6 million euros. It contributes to the application of the EU Directive on Energy Efficiency in Buildings and aims to reach its 20% energy efficiency target by 2020 (among other EU directives and connected policies). One of the key aims of the project is the setting-up of 200 project proposals for Energy Renovation in Public Buildings. 100 energy renovation proposals, to be identified according to specific selection criteria, will be carried out on public buildings in the Mediterranean regions involved in the project. 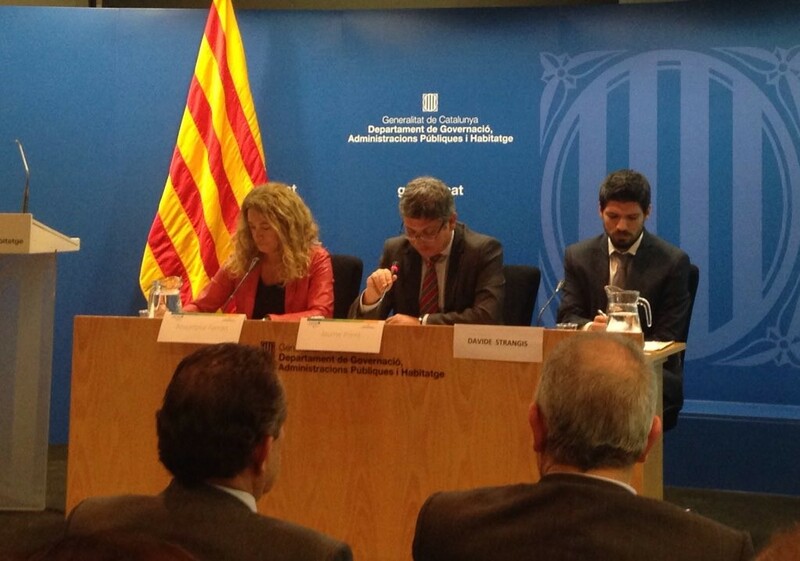 Another 100 proposals will be selected in the municipalities of these regions. All of these projects will be implemented according to specific findings, guidelines, tools and strategies. They will be associated with public-private investments worth several million euros and producing thousands of new jobs. The Mediterranean partners involved in SHERPA are: Catalonia; the Region of Valencia and its Building Institute; Italian and Greek regional authorities such as Lazio, Emilia Romagna, Abruzzo and Crete; the Amorce association from Lyons involving regional and local authorities from France; Croatian regional authorities such as Dubrovnik, and Maltese partners such as Eco-Gozo. Along with the CPMR-IMC it also involves a number of other technical partners including CIMNE, CRES and several external organisations. The project is based on previous extensive analysis and capitalisation linked to the Ljubljana declaration and MARIE-ELIHMED-PROFORBIOMED Policy paper, calling for a multilevel governance model in this sector. At the project’s completion, it will produce a Joint Action Plan (JAP) with a wider Mediterranean scope on Energy renovation in buildings (ERB) looking at the potential for future interventions at transnational and regional/local level taking into account governance aspects, shared information systems, training and awareness raising as well as innovative financing schemes. SHERPA was presented in Barcelona by its project coordinator, Xavier Marti, and Davide Strangis, CPMR-IMC Executive Secretary. During the course of the two-day meeting, the project partners discussed the first activities to be implemented. 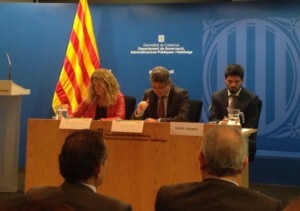 Catalan authorities also organised a public presentation of the project plans for several municipalities in their territory in order to encourage their involvement from the very beginning, along with the “Catalan club of the Covenant of Mayors”. The CPMR-IMC will continue to contribute to most of the project activities and be lead the project’s communications work. The CPMR will produce a Communication & Dissemination Plan (with specific tools), as well as enhancing capacity building and dissemination activities at local, regional & national and Euro-Med levels. 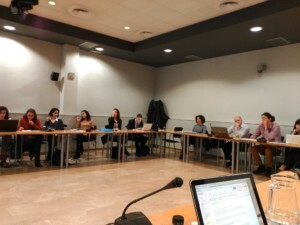 It will also ensure smooth coordination with MED NICE, the horizontal communication and capitalisation project connected to the 2.1 Community of the Interreg MED program on Efficiency Energy in Buildings (and the program itself). Several collaborations will be developed, particularly with the CPMR-IMC Task force on Energy Renovation in Buildings.